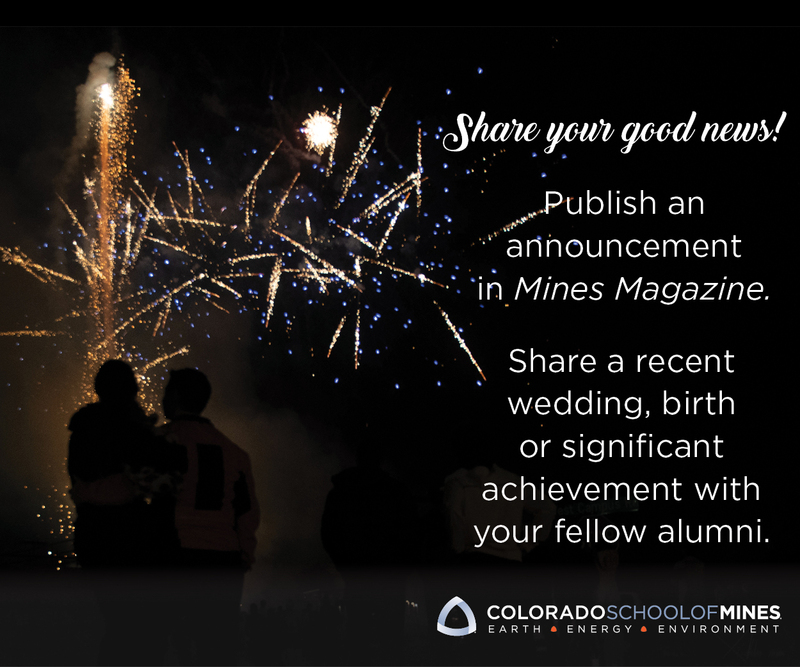 When Colorado School of Mines first opened its doors back in 1874, no one could have imagined the school would become a hotbed for biomedical research. Today, the Chemical and Biological Engineering Department is taking advantage of the school’s quantitative and materials science expertise to devise cutting-edge solutions to vexing medical problems. And Mines graduates are using engineering inspired techniques in their quest to improve human health, from curing cancer to stopping the flu. Bioengineering, as it’s called, is an increasingly popular field of study both at Mines and across the country. Students are intrigued by the new dimensions of medical research in the era of big data and genetic manipulation. Many also seek careers in a field where opportunities are vast and rapidly expanding. “In the future, there will be a lot of need for biomedical engineers. Our population is getting older, and a lot of money is going into healthcare,” said David Marr, a professor and researcher in bioengineering who has also served as department head. At Mines, some students are learning to use mechanical engineering skills to design orthopedic devices, while others study the chemical structure of drugs or the workings of cell metabolism. In his own research, Marr is creating small, injectable particles called “microbots” that transform themselves into powerful clot busters. Made of plastic, the tiny particles can be combined with a solution and injected into a person’s bloodstream. Once they’re inside the body, a physician directs them with a joystick that controls a magnetic field. “It’s like ‘Fantastic Voyage,’” Marr said, referring to the 1966 science fiction film in which a miniature submarine is injected into a scientist’s body to destroy a blood clot in his brain. Marr’s bots travel to the site of a clot and assemble themselves into a larger structure that is capable of breaking up the clot. When the magnetic field is turned off, the bots disassemble themselves and are carried away by white blood cells. At least, that’s the theory. So far Marr has tested the microbots in a lab and is now beginning animal studies in collaboration with the University of Colorado. Clot-busting drugs currently bedevil physicians because once they’re injected, they spread throughout the body and can cause excessive bleeding and other side effects. Marr’s microbots would give doctors pinpoint control over the clot busters’ location. If the treatment proves successful, these microbots might also be used to remove plaque accumulations associated with Alzheimer’s, or even atherosclerosis. Marr is not the only Mines researcher working on blood clots. Associate Professor Keith Neeves, who works with Marr on the microbots, is developing diagnostic devices to determine whether a person is at risk for clots. He’s also working with Children’s Hospital of Colorado to predict how badly children with hemophilia will bleed and how they will respond to therapy. In addition to the microbots, Marr is developing a laser cytometer, a device to measure the mechanical properties of cells. This project follows a classical engineering format: applying a force (the laser beam) to a cell to calculate the amount of force necessary to stretch the cell, revealing how flexible or stiff the cell is. They are currently using this approach to study malaria, which stiffens blood cells to the point where they can no longer enter capillaries, leading to complications and sometimes death. Marr has two patents on the cytometer and has submitted a patent application for the microbots. Mines alumnus Joe Gray ’68 became interested in biology while in graduate school at Kansas State University, where he was studying nuclear physics and shared an office with geneticists trying to understand how yeast cells work. “It was apparent to me that they could use better tools to do that,” Gray said. He began helping them, but his interest in cellular biology and medicine was truly piqued when his father was diagnosed with lung cancer. “I became aware of how little we understood cancer,” he said. Gray switched his career to biomedicine, developing cell measuring devices for Lawrence Livermore National Laboratory before moving to the University of California, San Francisco, where he directed a breast cancer program, and then moving to the Lawrence Berkeley National Laboratory program. In 2011, Gray was hired by Oregon Health & Science University to develop the university’s Center for Spatial Systems Biomedicine, which uses light and electron microscopes to study cancer, cardiovascular disease, infectious disease and neurological disorders. Cell and tissue interaction is key to Gray’s work. Many researchers study cells in isolation, but in real life, the picture is different. Like people, cells live in communities that shape them and influence their behavior. “If you put two cells that are identical in different environments, they behave differently. We’re trying to understand that,” Gray said. The research has many practical applications. Gray studies cancer cells and why they become resistant to treatment as the cancer progresses. He is starting a clinical trial, taking cell samples from cancer patients during treatment and studying them for abnormalities and mutations. “We want to know, what has your tumor done to escape control, and what can we do about it?” he explained. won’t be necessary at all. Simply inhaling their solution will prevent any type of flu virus from infecting your system. The flu virus has been a tough nut for scientists to crack. It takes about eight months to develop a vaccine, which must be ready by flu season. But it’s hard to predict which strain will be the most prevalent, and vaccines are typically only 50 percent to 65 percent effective. Today, researchers are approaching the problem from a different angle. A flu virus looks like a ball covered with hundreds of lollipops. Each “lollipop” has a big head attached to a stem, and while the head changes every year, scientists have discovered a spot on the stem that doesn’t change. A lab at the University of Washington, where Koday received her doctorate in microbiology, designed a protein that would bind to the permanent spot on the stem. The protein prevents the virus from infecting cells. Creating it was a eureka moment. After receiving her doctoral degree, Koday became one of the founders of Virvio, which opened in late 2015. Using big-data computational power, Virvio creates millions of virus-stopping prototypes on a software platform and narrows the field to perhaps a hundred. The company has started animal studies on the most promising leads. The proteins they use are small and stable and don’t require refrigeration. Unlike a vaccine, they don’t affect the body’s immune system, so there’s no risk of a bad reaction. If the product succeeds, variants might be developed to treat asthma, diabetes, chronic pain or even cancer. “The sky’s the limit,” Koday said. Once you have dental problems, they never seem to end. Fill a cavity and eventually the filling breaks down and you need a bigger one. Then a crown. And even crowns don’t last forever. Mines’ Melissa Krebs, an assistant professor of chemical and biological engineering, has a better idea. With a grant from Delta Dental, Krebs, along with postdoctoral researcher Jacqueline Harding and graduate student Matt Osmond, is developing a natural, porous, mineralized material that can integrate with the body’s own tooth cells. Once that happens, those cells can repair and regenerate the missing part of the tooth. The biodegradable filling material would dissolve over time as the tissue repairs itself. Instead of a permanent filling, the patient’s tooth would ultimately return to its original healthy state. “People will still get cavities, but this could bring the tooth back to its native state and prevent it from getting worse over time,” Krebs said. To make her material easy to handle, Krebs uses polymers to create a thick, honey-like liquid that can be injected directly into the cavity. Once in place, the material holds its shape. The repairs will occur over time without the patient even being aware, and before they know it, their tooth will be back to normal. The material Krebs is developing contains a form of calcium phosphate that can be tuned to match the mineralized materials found in teeth and bones. Beyond dental applications, this type of material may also have use in bone grafts and bone putties as a kind of “glue.” Current graft and putty materials don’t always work, but these new materials being developed in Krebs’ lab would be bioactive and porous, integrating better with surrounding bone tissue and making for a faster, better recovery for the patient. Whether they’re studying teeth and bones, flu, blood clots or cancer, Mines researchers are using their engineering backgrounds to analyze medical problems in new ways. Developing new materials and shaping them step by step to solve a problem is a process that comes naturally to engineers. When they apply their thinking to medicine, the whole world stands to benefit. interdisciplinary graduate program in bioscience. “The 21st century is the century of biology,” said Keith Neeves, associate professor in the Chemical and Biological Engineering Department. More students now take Biology 101 than Geology 101. Neeves’ Intro to Biomedical Engineering class, which is not required for any major, regularly draws 60 to 70 students every semester. Bioscience is at a crossroads, with genome sequencing and other developments happening at a pace that’s almost impossible to keep up with, Neeves said. In the past, biology was considered to be less quantitative than chemistry or physics, but as massive amounts of data are collected and analyzed, that’s no longer true. Understanding big data and interpreting it to create something useful plays to the strengths of Mines students, Neeves said. Currently, courses related to biology and medicine are spread across departments. Over the past decade, the school has added faculty to meet demand. “Thirty of our 130 faculty are directly involved in biosciences in some way,” Neeves said. “The motivation is to put it under one umbrella in an interdisciplinary program. The university needs these programs to be competitive and relevant.” The program is still in early stages of development.